While many hacks are meant as one-off designs, perhaps to show off to your friends or the Internet, another look at how things are built can often lead to improvements in your technique. Such was the case with Thomas Jensma, who built an LED clock that was originally featured here. Now he’s come up with an upgraded version that, “requires way less soldering, looks neater, and is easier to make.” Clips of the new timepiece and the 128 LEDs in demo mode can be seen below. The latest iteration does look rather nice, and code and instructions are found in the project’s write-up. Like the previous version, he used an Arduino Nano to control the LEDs, along with an RTC module to take care of timing. One big time saving — or at least solder saving — improvement on this build is that he used strips of WS2812 LEDs to light up the table tennis balls. This meant that only the strips, not every single LED, had to be soldered together. To accommodate for this new design, the balls were cut nearly in half, and connecting wires were routed through holes in the back of the MDF that supports the assembly. 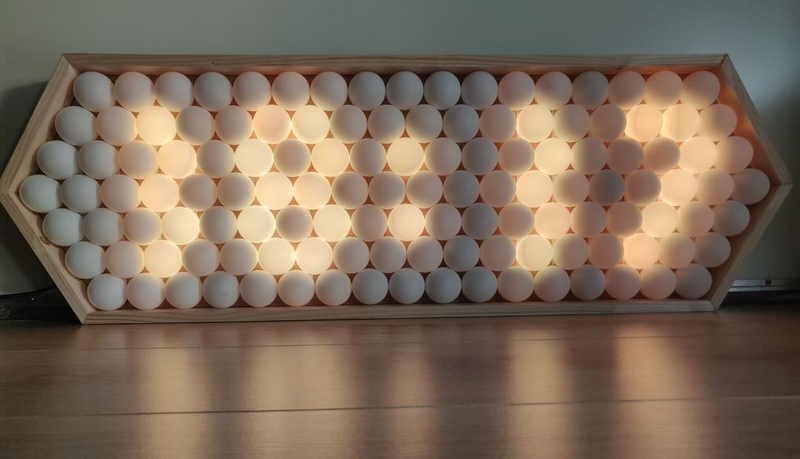 Wood from the frame was used to keep each ball aligned, then everything was glued together, creating a smooth alternating pattern of lights that’s similar to — though a bit neater than — the original! 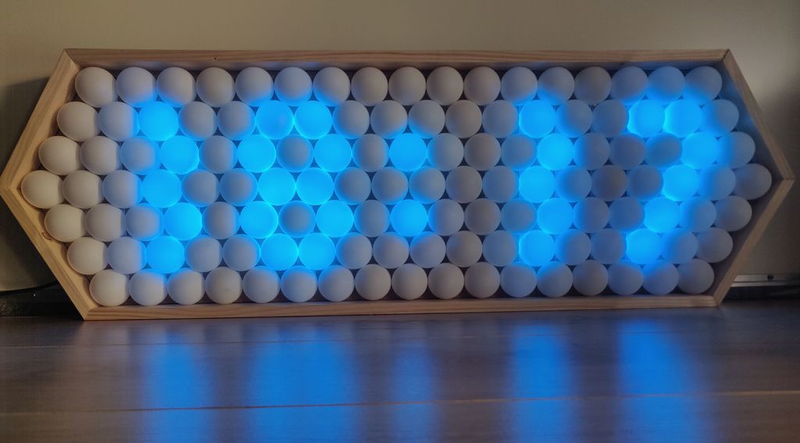 Improved LED Ping Pong Ball Clock was originally published in Hackster Blog on Medium, where people are continuing the conversation by highlighting and responding to this story.